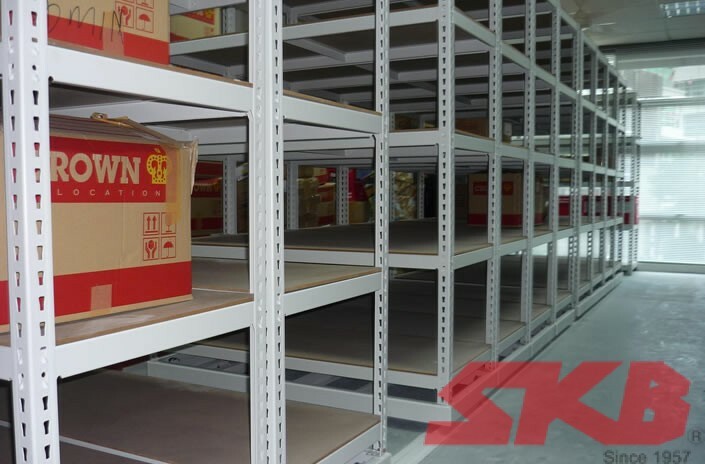 ­SKB Speedrack system is a Light weight adjustable shelving system that comes with adjustable shelving (metal or timber board) suitable for commercial, industrial and household storage solution. ­Easy and hassle free set-up without requirement of special tools. Light weight and boltless concept – bolts & nuts free. Environmental friendly with organic powder coat finishing. Available in standard Light Grey and many other options of colour are available upon request also. 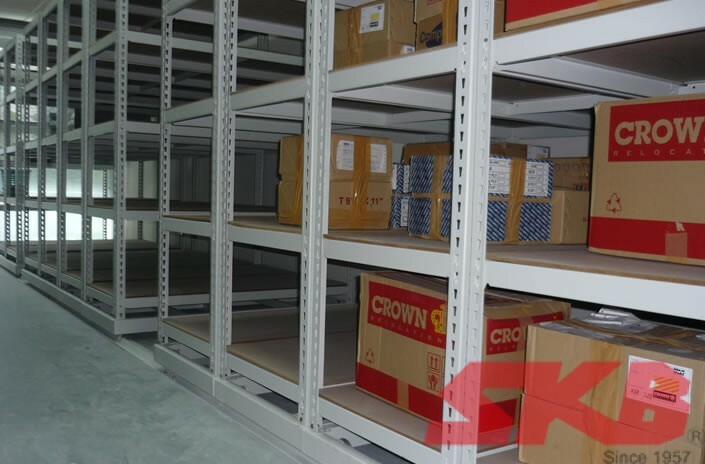 Shelves are easily adjusted at pitch of 38mm and are designed with load bearing capacities with 100kgs per shelf level. 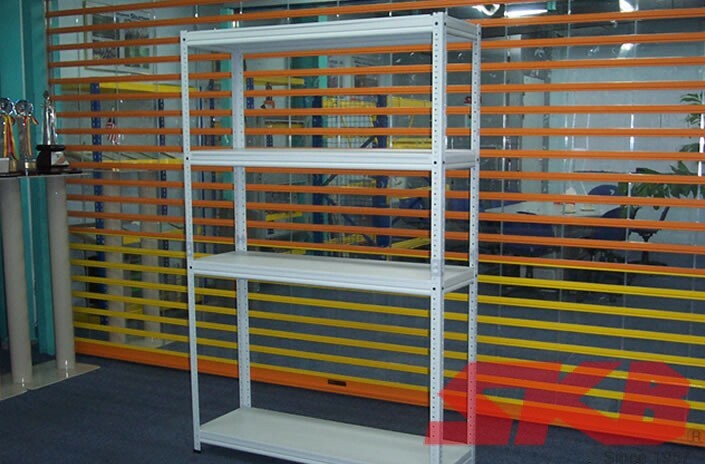 Come in standard depth, width and height for different applications and storage. Finished with high quality Epoxy Powder coated with minimum thickness of 55 ~ 60 microns. S.E.M.A (Storage Equipment Manufacturer Association) Standard Certification. ISO 9001 : 2008 Quality Certification.